So you’ve got your BookingBug widget all set up and ready to go – congratulations! You’re now ready to start spreading the word and begin taking bookings online. Whether it’s for your existing customers or brand new ones, there are lots of ways you can let people know that you now take appointments, enquiries, bookings – and even payments – online. Firstly, capitalise on BookingBug’s online nature. Once you have a place for your booking widget, whether it be on your own website, Facebook Page, or on a dedicated BookingBug business page, use all the available avenues to help steer people to your booking page at every possible opportunity. Be sure to mention the URL explicitly on your personal and business social media platforms, such as on Facebook, Twitter and Google+. Where you place this link is up to you, but it may be helpful to have both instant reminders about it (for example, via regular tweets), as well as a permanent link (such as in the About section of your Facebook Page). Any other means of online communication you have with returning customers can also be invaluable, such as through your blog or emails. You can easily raise awareness of your new booking system by simply including a link in the footer of appointment confirmation or marketing emails. Whilst taking advantage of the online nature of BookingBug is essential to making sure you’re achieving its full potential, you shouldn’t forget regular offline promotion techniques. One handy tip is to change your voicemail message to direct people to your booking page and encourage them to schedule their own booking when you’re not available to answer the phone. Any business cards, pamphlets, adverts or other promotional materials should also contain a direct URL to your booking page. And of course, let’s not forget good ol’ word-of-mouth! Make sure you tell your customers during their appointment that they can book their next one with you online. So be sure to get the word around! You’ve invested in a new booking system, so now is the time to make sure you, your team and your customers are making the most of it. 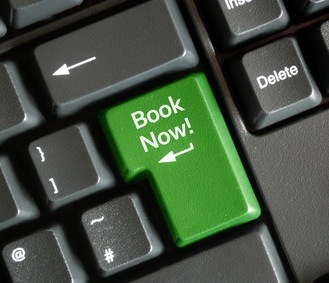 What are some of your most effective ways of promoting your online booking tool? Tell us in the comments down below!